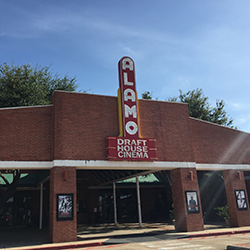 The Alamo Drafthouse has a number of locations across the United States, including two in Houston. One is in Vintage Park in Northwest Houston, a wonderful location, which I have reviewed HERE. I had a chance to visit the other location off Mason Rd. in Katy. 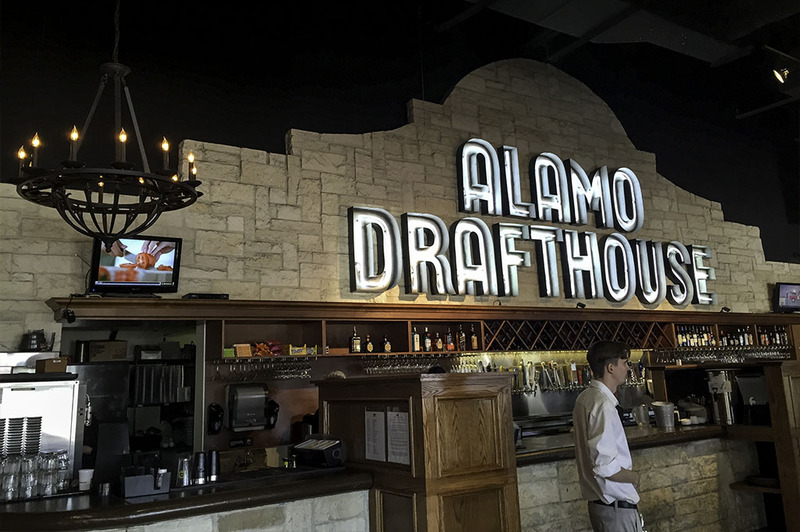 I dig the Alamo Drafthouse concept – it takes all my favorite things and wraps them together into one really cool experience. If you love the movies and the whole movie house experience and you haven’t been to Alamo Drafthouse, then you must do so immediately. Their concept delivers a whole evening’s entertainment in one place. It’s not your traditional dinner out and then you take in a movie. 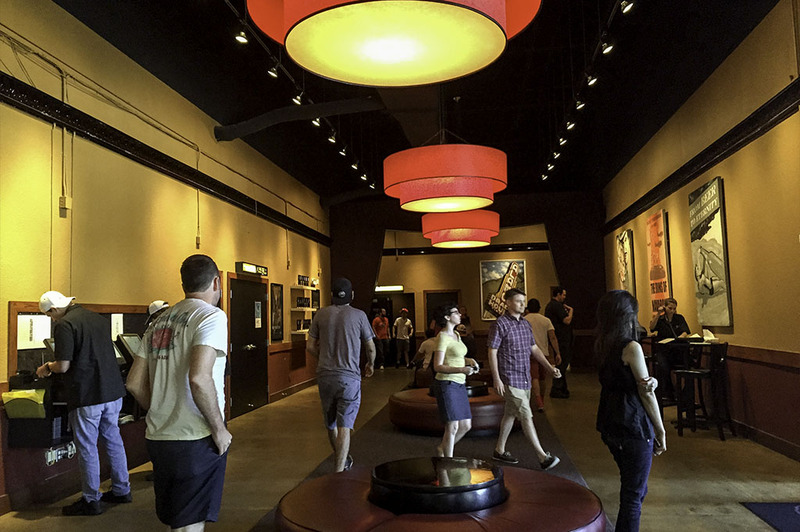 At the Alamo Drafthouse, the movie has grown up along with you. Here, there’s no need to sneak in airplane bottles of liquor like you did in college. Ha! 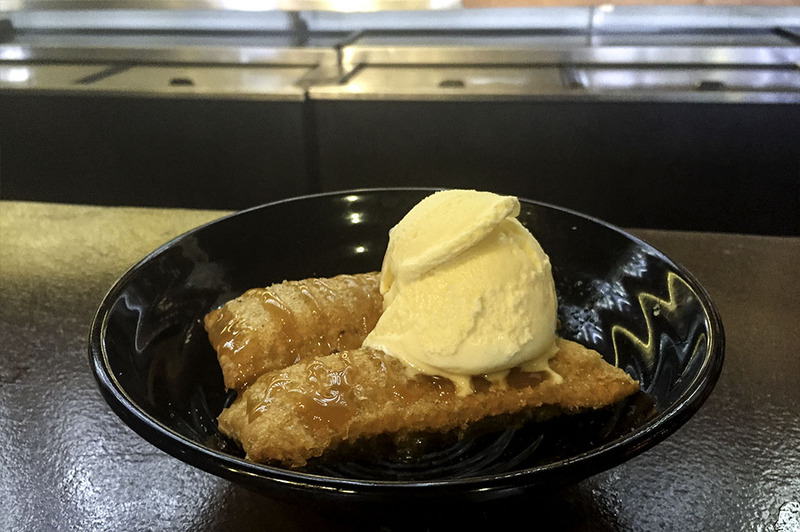 They serve it up to you and you never even have to leave your seat! 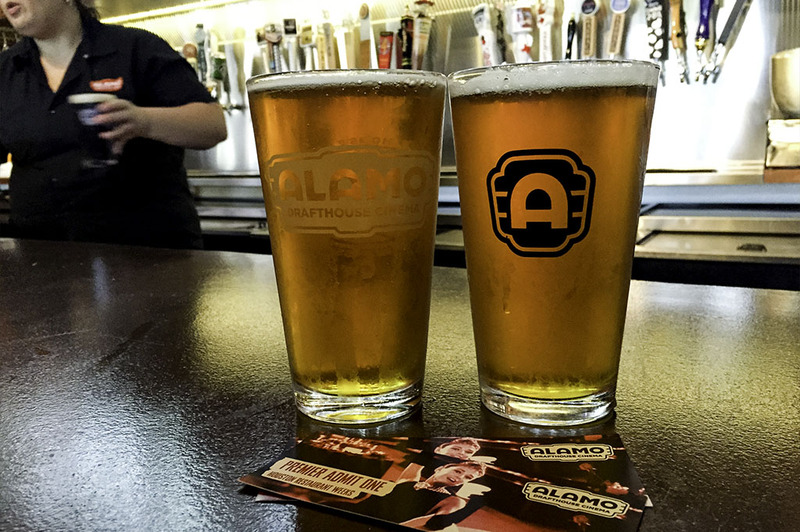 If you’re a fan of Top Texas Craft Beer, like I am, then you’ll be happy to know the Alamo Drafthouse has a wide variety to choose from… and a full bar as well! We started the night off with a couple of More Cowbells from the Buffalo Bayou Brewing Co.
Another beautiful thing that the Alamo Drafthouse delivers directly to your seat is tasty vittles! For a starter, we chose the Roasted Tomato and Bacon Chutney: roasted cherry tomato, garlic and a smoked bacon chutney served with toasted crostini. Really tasty! We also got a couple of entrees. 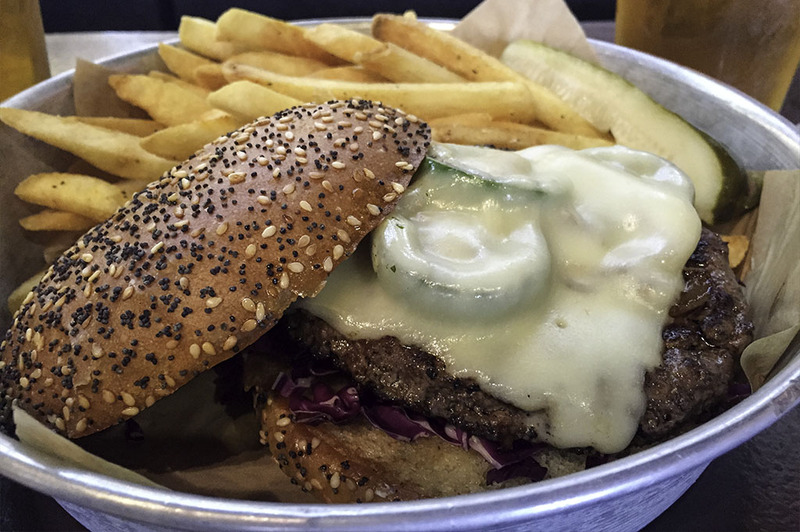 The Torch Burger had white American cheese, caramelized onions, jalapenos, serrano pepper-cilantro mayo and red cabbage. It was served with French fries and a house-made spicy ketchup. This was my personal favorite, but everything we had tasted great. Take a look at the photography and see for yourself. We also enjoyed The Thing Calzone which was Parmesan-crusted house-made dough stuffed with roasted potato, chopped grilled chicken, Canadian bacon, mozzarella and red onion and served with marinara sauce. An excellent choice as well. I REALLY enjoyed the old-fashioned Bottomless Buttered Popcorn: freshly-made popcorn with real melted butter and a side of herb Parmesan. Incredible goodness! 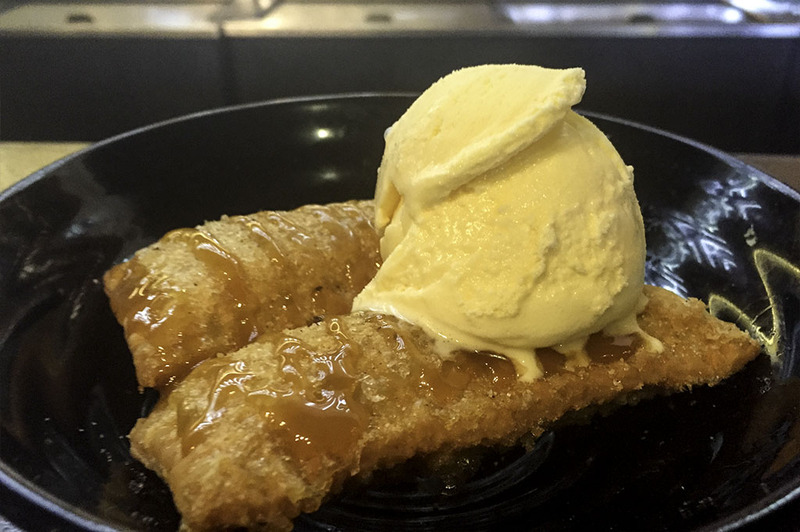 For dessert, we ordered the Fried Caramel-Apple Pie: two fried apple pies drizzled with caramel sauce and cinnamon sugar and served with a scoop of vanilla bean ice cream. What do you think of that? And, to top it all off, we sampled the 512 Pecan Porter Shake. 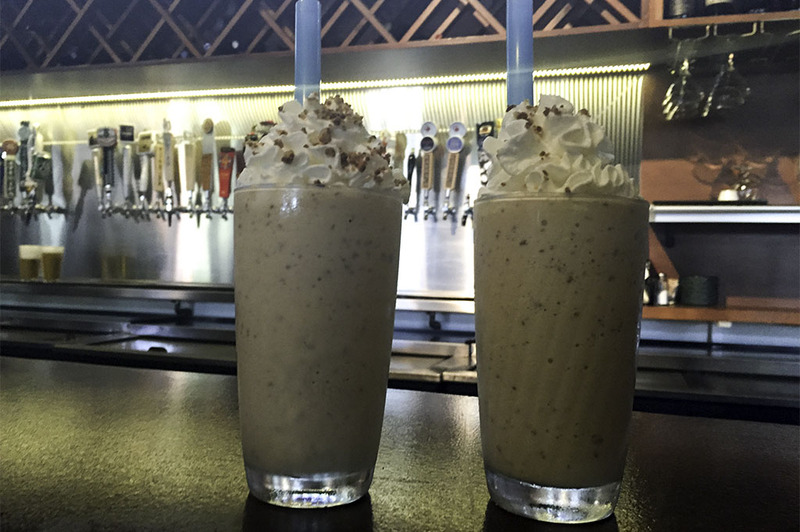 Now, the 512 Pecan Porter is one of my favorite craft beers to start with… but to make it a shake? Come on, that is just not fair! Delightful, needless to say! All in all, a very enjoyable visit. 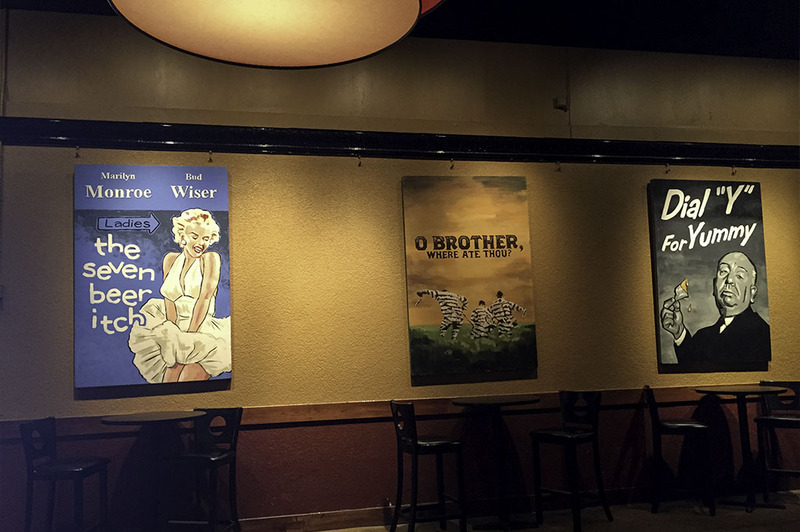 If you are in Houston from out of town or just looking for a place to celebrate Craft Beer Friday, the Alamo Drafthouse in Katy is a sure bet. It ranks right up there at the top of my list of cool Houston activities. Good movies, good craft beer, good food and good times!